Description: On this episode of The Drone Dish, Ryan Hoag catches up with Ryan De Seixas, AKA Ryzone. 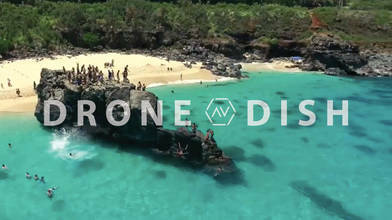 His jaw-dropping video, “Waimea Bay by Drone,” has over 115,00 views. The Hawaii local took some time to chat about living right by the beach, his love of manta rays, arial videography and how he captured some amazing shots of … Mermaids? Check out some of Ryzone’s best clips and find out for yourself if mermaids truly exist.